Samfix v1.3 Official 100% Working Full Activated tool download link available here . This Tool Developed By MD.RURAD FT so all credit goes to him . 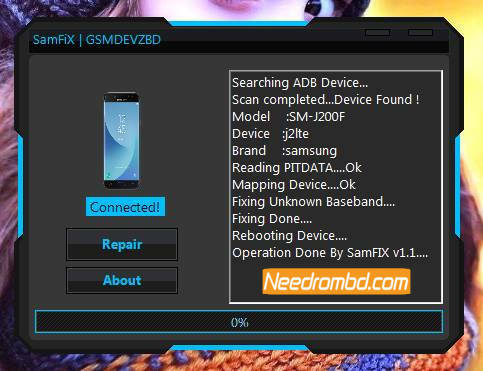 Samsung Unknown Baseband Fix Tool 2018 free download Link available here . This tool allow user to fix samsung unknown baseband in 2016,2017 and 2018 devices .